Last week’s elections touched every corner of the eight Great Lakes states. Seven of eight governorships, eight Senate seats, all members of the House, and hundreds of state and local offices were on the ballot. One week later, as the last votes are tallied and much of the campaign rhetoric cools, we are taking stock of our new political landscape and its implications for the Great Lakes and the people who live here. While national races across the Great Lakes largely mirrored national trends, our region experienced a notable gubernatorial shift. Last week, we had five Republican governors and three Democrats. In 2019, the region will have six Democratic governors and two Republicans. Throughout the region, both Republican and Democratic candidates included Great Lakes issues in their platforms. This is a testament to the strong expectation of clean water that we all — the people of the Great Lakes, the Alliance, and our many partners and allies — have built. Still, we have plenty of work ahead of us to educate our newly elected officials and build momentum toward protecting the lakes. With election day behind us, it’s time for newly elected and returning officials to move from campaigning to governing. And it’s time for us at the Alliance, and people around the region, to begin the work of ensuring they follow through on campaign promises. The Great Lakes have historically enjoyed bipartisan support in both chambers of Congress. Coming out of the election, we have an opportunity to build on that foundation and strengthen Great Lakes leadership in D.C. The change in party leadership in the House of Representatives will put several members of the Great Lakes delegation in high ranking positions on key committees, including the House Appropriations Committee. Several supportive Republican Great Lakes members remain in the House, and we are fortunate to have a number of Great Lakes champions in the Senate. 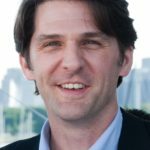 On the federal level, the Alliance has worked over the past two years to help protect the Great Lakes Restoration Initiative, defend funding for many other critical Great Lakes programs and environmental agencies, and fight off anti-environmental legislation that was attached to unrelated bills. Despite a deeply polarized, and at times hostile political environment, we have largely been successful at playing defense, with support and leadership from both Republican and Democratic members of Congress. Now, we are well-positioned to shift from defending old victories to advancing new ones. The new Congress has an opportunity to lead on Great Lakes protection. First it needs to get the basics right, like ensuring the federal agencies overseeing Great Lakes protection are appropriately funded, staffed, and supported to carry out their job of protecting clean water. And of course, continued funding for the Great Lakes Restoration Initiative is vital. Congress must also do all it can to make sure Great Lakes water equitably benefits all people in the region, and get serious about tackling our massive water infrastructure liability. 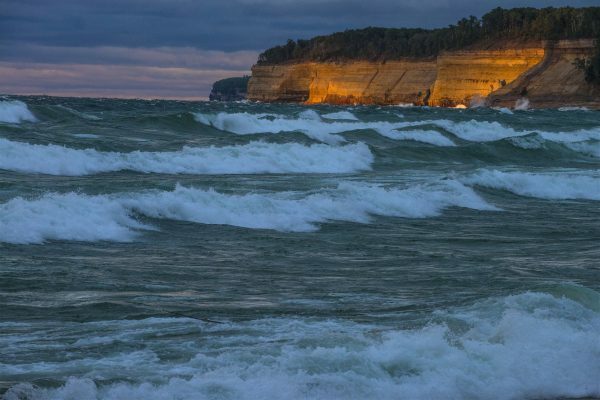 With a divided Congress, a hyper-partisan atmosphere in Washington, D.C. and many electeds already gearing up for 2020, the Great Lakes governors will play a critical role in protecting the lakes. With 5 newly elected members in their ranks, it is vital that Great Lakes governors work together, starting now. We expect that they will come to the table early and often to carry on the historically bipartisan work of protecting the Great Lakes. Governor-elect Mike DeWine (OH) stares down the greatest pollution challenge Lake Erie has faced since the 1970s. Governor-elect J.B. Pritzker (IL) has the opportunity to return Illinois to leading rather than lagging in protecting the lakes from Asian carp. And Governor-elect Gretchen Whitmer (MI) ran on the most detailed and aggressive water agenda in the region, befitting the Great Lakes state. Every one of our region’s governors has the opportunity to step up on these challenges and more, and to protect the health and safety of millions of people living in their states. Great Lakes water does not stop at state borders. And Great Lakes leadership does not end with a single vote, or program, or issue. We know that the lakes do better when the people who live near them do better, and vice versa. We have an opportunity to win on invasive species, clean water protections, restoration programs, and funding for agencies that protect our water and health. We also have an opportunity to expand our definition of Great Lakes leadership. Being a Great Lakes champion means leading on clean water issues from source to tap. It means making tough choices and seeking out unlikely partners to do what is right. It means defending against policies that could pose additional environmental threats while fighting for transparency, funding, and good government needed to do the work of protecting our water. It means equitably investing in Great Lakes communities, because we know that environmental improvements correlate to and are sustained by stronger, healthier local economies. For example, communities that have received investments toward cleanup and restoration through the Great Lakes Restoration Initiative have seen huge benefits — with a return on investment greater than 3:1 and quality of life improvements in coastal communities. According to a recent study, every program dollar spent from 2010 to 2016 will produce $3.35 of additional economic activity through 2036. This type of investment is especially critical for communities that have been marginalized, bear more impacts of polluted water, and have historically been left out of efforts to address our biggest water quality issues and resulting human health impacts they face. The Alliance for the Great Lakes, and all Great Lakers, will be watching closely to be sure our elected officials at all levels of government uphold campaign promises and take bold steps to protect and restore the lakes. We urge all elected officials to set aside their partisan election battles and embrace the clean water protections that the Great Lakes and the people who rely on them deserve.